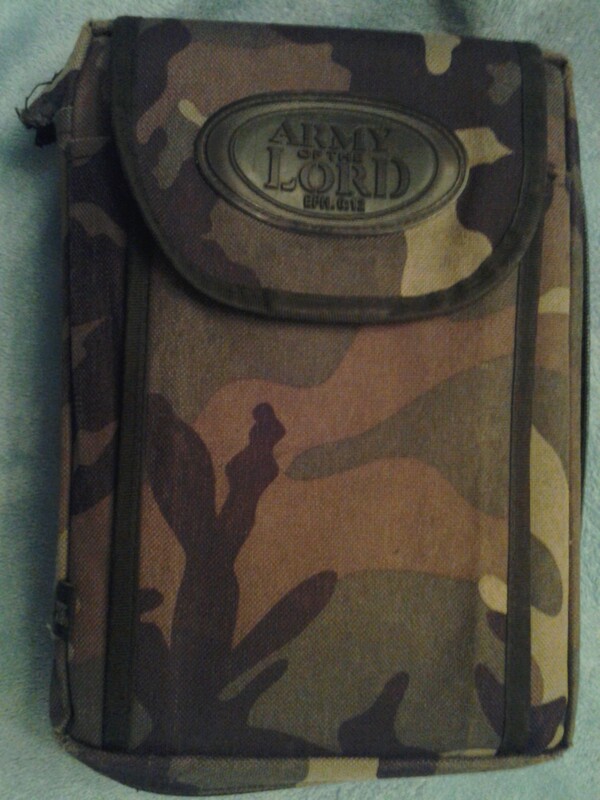 I’m a Camo Bible Totin’ Mom. I have my own beautiful, and downright girlish, teal covered Bible with the giant butterfly on the front, and I am still the makeup sporting, very light makeup at that, lady who wears feminine apparel to church while carrying a camouflage covered Bible. I can tell you I have gotten a couple of odd looks and double takes when someone sees my camouflage Bible cover, but that’s completely okay with me because I treasure that Bible. I read from it daily and will hang on to it until my last breath. You see, I have the pleasure of doing my reading from a Bible that once belonged to my son, Jonathan. Ironically, I originally purchased it for someone else who didn’t seem to value it much and so I was going to keep it for myself, mainly because of it’s large print, but when Jonathan, barely a teenager in those days, asked me for it I couldn’t say no.